I can use it without a sense of incongruity from the beginning because it is not stiff. And when it is used it feels like durability, so I will be a repeater when I become bad. This review is about item#8409055. 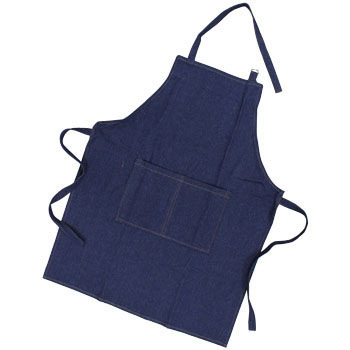 Pocket is unnecessary, as sewing the upper part as reinforcement of the apron, it is strong and lasts long. I am using it for work. He is strong and likes it. This review is about item#08409055. Very convenient because it has a front pocket. The material is durable. I purchased it with Monotaro brand, but I can not feel a big difference. Since it has not been washed yet, the degree of shrinkage is unknown. I think that the string is a little longer. It is a perfect item for me from school. Cutting steel, sanding, drilling etc. Although it is the string of the back knot, I think that it will be good if it will come to be able to connect before crossing. I want a chest pocket that pen and cutter etc let it do. Pen also black magic, white magic, ballpoint pen and 3 to 4 kinds are necessary so slightly larger size is good. I am satisfied that the stomach pocket is big and separated in the middle. The dough is also grinding and the color is also dark eyes so dirt is noticeable enough.